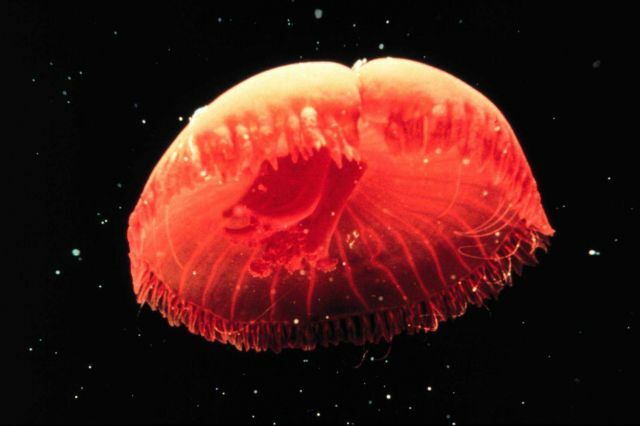 AllRefer.com > Pictures & Images > Some jellyfish pulsate to propel themselves through the water. Some jellyfish pulsate to propel themselves through the water. Photo Location: Temperate Atlantic Ocean, offshore Cape Hatteras.